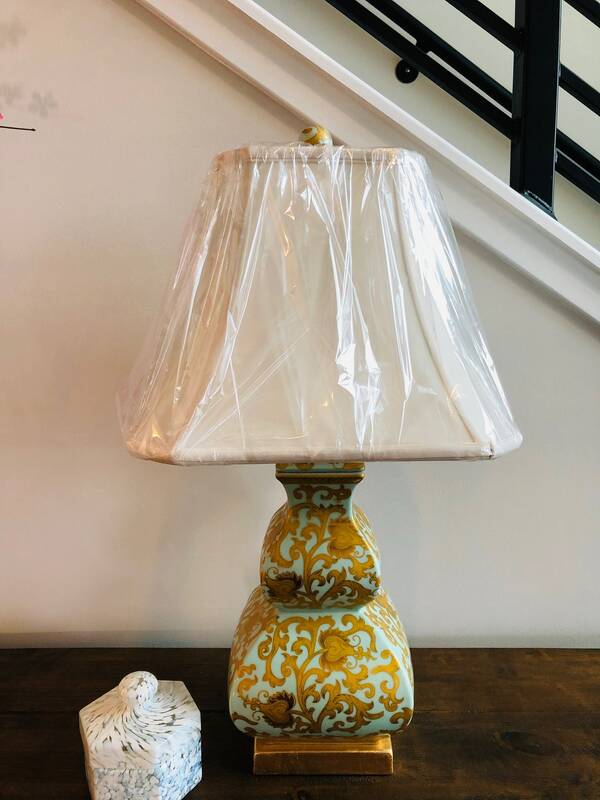 This lamp is an incredible find. 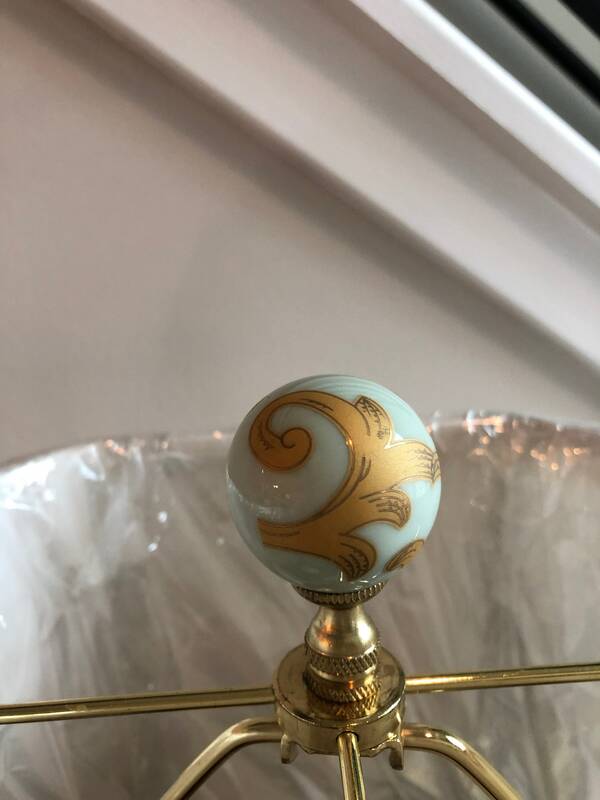 It is a teal green with golden overlay. 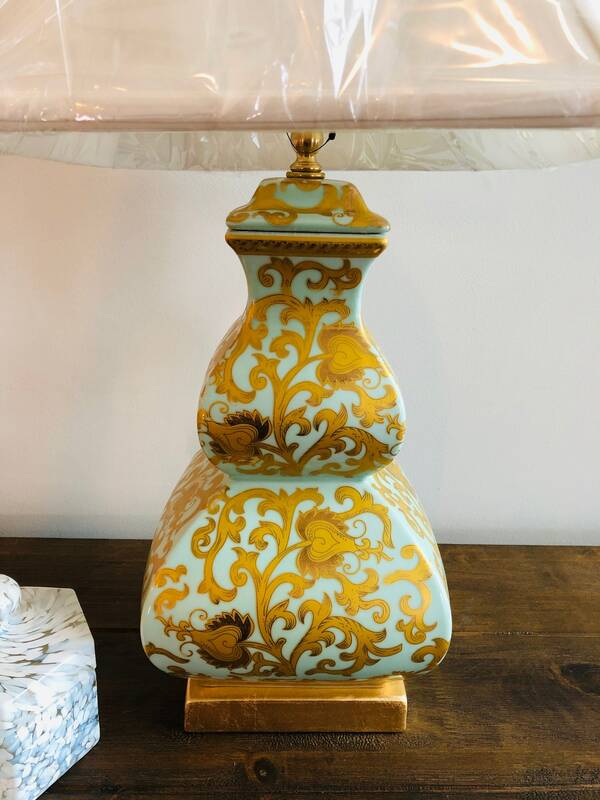 The entire lamp is 27 inch with a matching finial at the top. 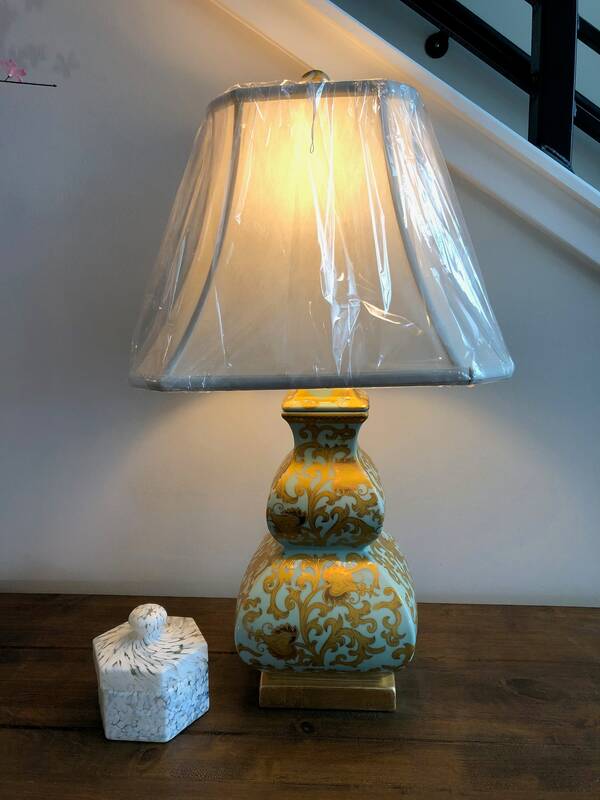 The shade is white and wrapped in plastic. Please consider purchasing this. I only have 1.